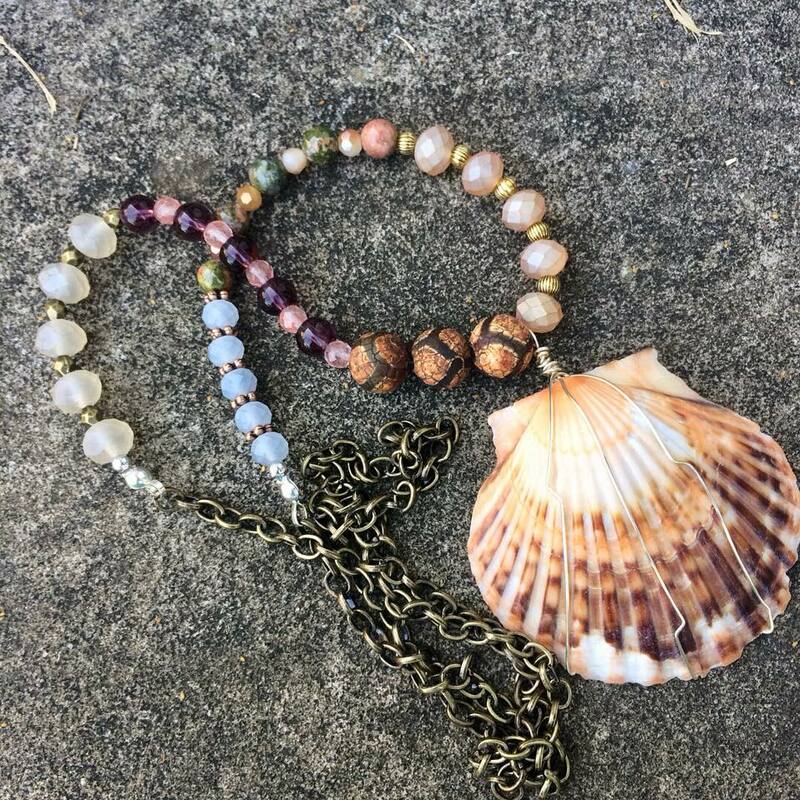 October, 2015, after several years of my friends and family telling me I need to open up an Etsy Shop with my jewelry, I finally made the plunge. 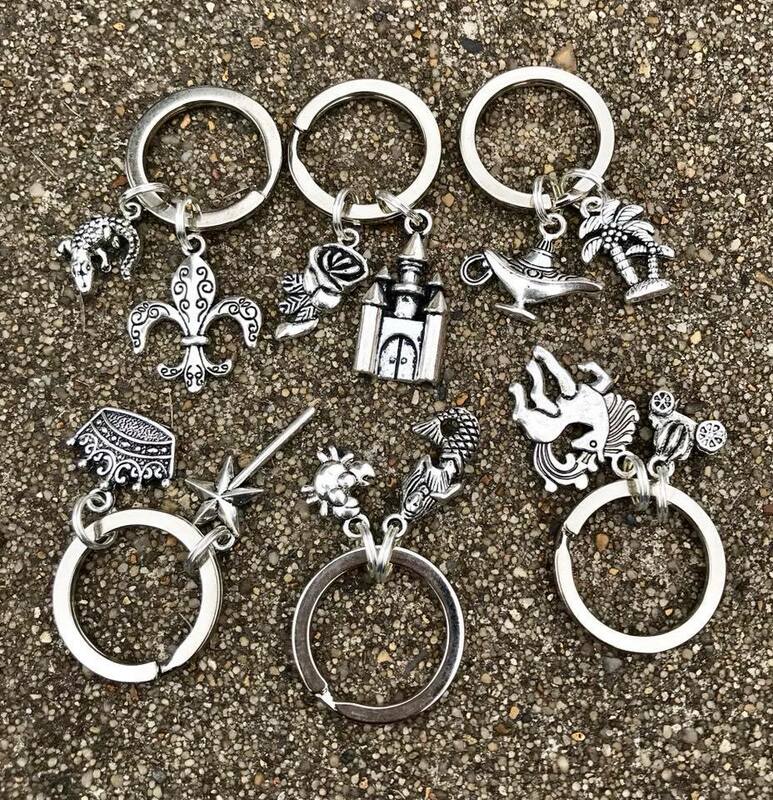 I was very clueless as to what to do, and a close friend of mine, who had a successful Etsy Shop (selling cruise door decorations and banners), helped me get started. 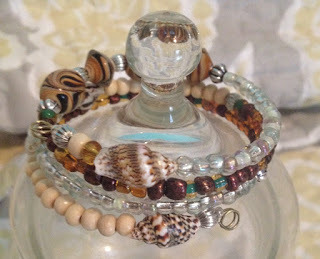 She referred me to Etsy, and by doing so, both of us got 40 free listings...a great way for me to start out! Less than a week after I set up shop, I received an order for five guitar string Christmas ornaments from a friend of mine. I was pretty excited. When one first starts out, there are no sales or reviews, and people don't tend to trust you. I totally get that, and I was worried, but thankfully, my first sale and good review came very quickly. My next sale wasn't until the beginning of December. I actually got three orders, and all from people I did not know! Again, guitar string Christmas ornaments. Out of these three orders, though, I only got one review. I soon learned that most people do not give reviews. My sister in law ordered various necklaces and bracelets to give as Christmas gifts to her coworkers, and my daughter in law ordered some guitar string Christmas ornaments to give as gifts. I really thought things were going to go uphill from here....but I was wrong. After the first of the year, orders trickled in here and there; one order in January, one in February, one in March, one in April, three in May...then!!!! none until October! What was I doing wrong? Soon, I realized that there was more than just slapping on some listings. You had to work your shop, but I had no idea how to do that. I started doing some online research and came across several ladies who teach free "classes," and so I started listening to them. I learned about SEO, and how to actually list your product. Pictures are very important, and even though I am a decent photographer, taking pictures of tiny pieces of jewelry is much different that landscape or people photographer. I started branding my shop, and came up with who my target audience was. At first, I was trying to sell to everyone, and was all over the place. 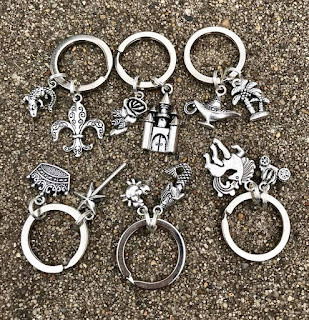 I finally narrowed it down to beach and cruise inspired jewelry and accessories, and added keychains as fishextender gifts for gift exchanges on cruise ships. Those became very popular, and I thought I finally found my niche. During this time, Etsy started doing some big changes, and putting my shop on vacation mode actually hurt it. I am still trying to dig out of that, and it has been over a year since then. I am essentially invisible when it comes to my shop. I tweek and retweek constantly. Someone told me I need to switch to another shop, or just get my own website. I looked into this, but my gut feeling says, "NO!!!" I ask my friends and family where they like to shop for handmade items. Do you know what they say? Etsy. I did a poll on my facebook page and asked that question....I even listed some of the other online shops, and the answers I got were, Etsy and Instagram. By the way, I am on IG, and have had one sale from that venue. When I google search for something that is handmade, do you know what pops up? Yep....Etsy! Not the other shops, but Etsy, Etsy, Etsy...all over the place. Now, recently, Etsy has changed some things. They have upped their cost to list...yes, you have to pay to use Etsy or any other online shopping site to list. Etsy has not raised their prices...until now, and they have been around for a long time. I get it! Things are more costly now, but since they raised their prices, that means we have to too, and many do not understand that. I plan to stay with Etsy. I know I can make this work, I just need to keep plugging away. Sooner or later, I will be seen, and I will be successful. When I say successful, I am not meaning a multi-million dollar business. To be honest, I do not want that! To me success is 3 to 5 sales a week. Heck! at this rate, ONE a week would be great, lol. 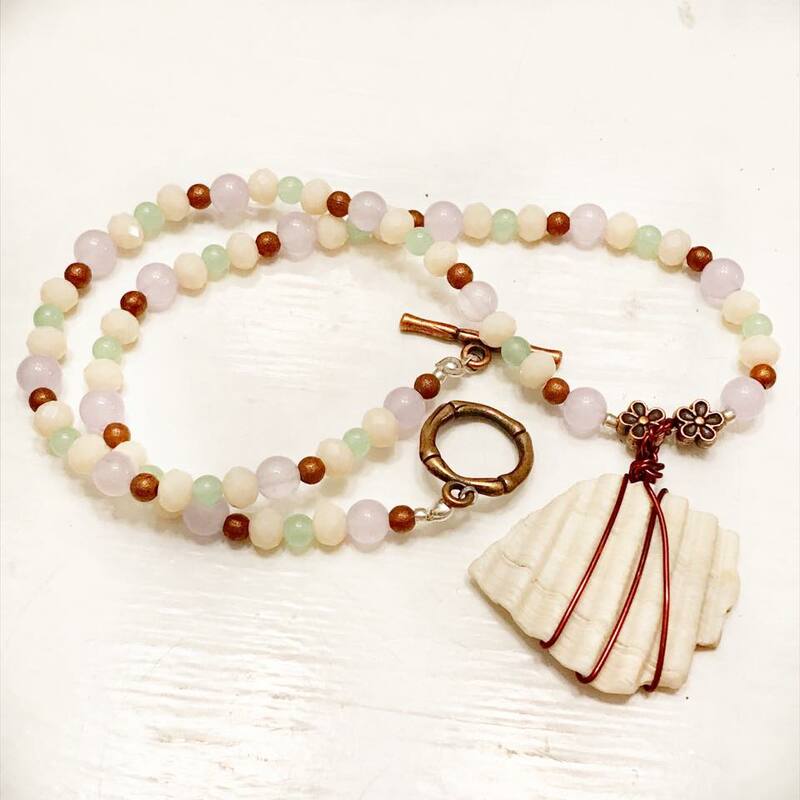 Whether she cruises the high seas on a shop, hang tens on a surfboard or just likes a quiet walk along the shores...Wearing a creation from TappingflamingoBling will keep her favorite places close to her heart and soul. I have never seen jewelry or ornaments made with guitar strings. 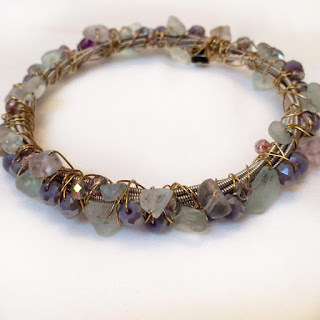 I love the fluorite guitar string bracelet. It's beautiful. Good tip on focusing your audience. I think it takes a lot of just plugging away at Etsy, or really any online venture, to find success. Keep at it! I think you are right, Tammy.